Social Media Marketing is displaying your brand advertisements on Social Media Platforms to increase brand value, Sales, lead generation, traffic generation on website, brand recall, Re-marketing, PR activities, etc. Searching for the best Social Media Marketing Agency in Mumbai? Let’s help you out by introducing you to Social Media Marketing! DigiManic, is a social media marketing service provider in Mumbai, that helps you to understand the power and capabilities of the Social Media platforms and to utilise all the available facilities that Social Media provides to benefit your brand. So, our social media service puts the central focus on what is most beneficial for your company. We ensure that all the various Social Media Marketing platforms like Facebook, Twitter, Google+, LinkedIn, YouTube, Pinterest, etc. deliver one and unified message that the brand speaks. 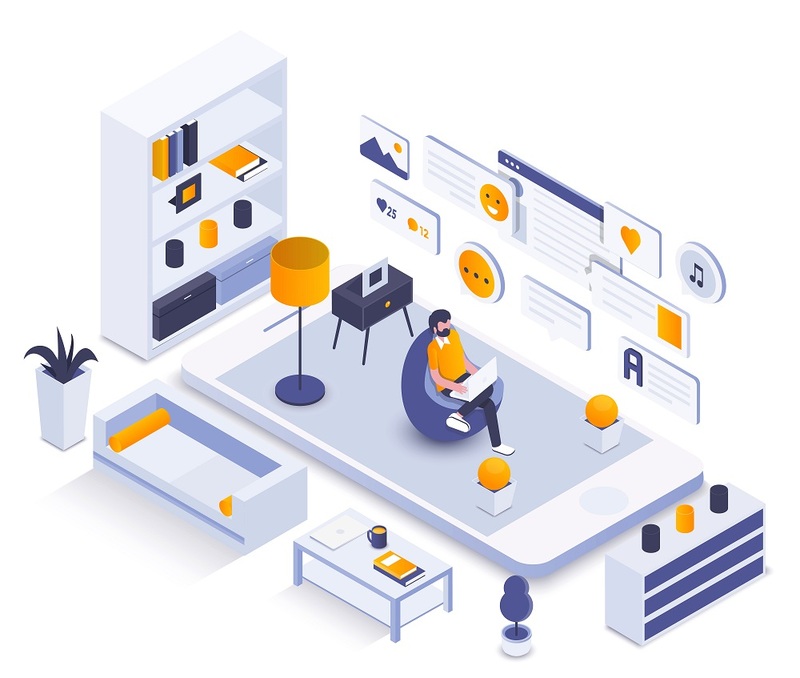 These platforms are communicating channel between the audience and the brand, they help the brand to speak and connect with their users, listen to complaints, appreciations, comments and other things. DigiManic, assures that your brand has high visibility on social media and it gains maximum attention from your desired target audience for your products or facilities. Social Media Analysis – We analyse your current and past social media presence along with competitor analysis to know current trends and campaigns in the current Social World. Social Media Campaigns – We brainstorm and come up with engaging Social Media campaigns that will help your brand interact with your audience and help in improving your brand positioning. Online Reputation Management – We help you manage and deal with negative feedback or comments on your social media platform. We help you increase the value and reputation of your brand by doing Online activities on platforms. 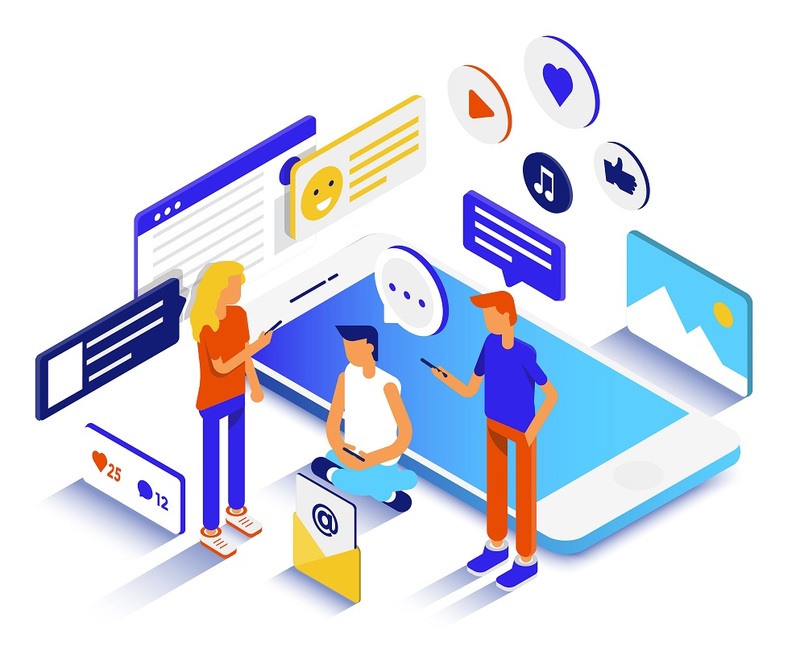 Influencer Management – We have the close connection and contact with some bloggers, publishers, influencers and journalist which will help in narrowing the gap between the brand and audience. Hence your brand will receive wide coverage. Social media management & social tone – We help you to choose the right words and style, making sure that your brand is pictured the way it should be. Our social team will always provide support to create a unified profile across various social channels. The Question that every brand manager has about Social Media Marketing is, Why & How to use Social Sites for Marketing? Now the Answer to that question is. Why? Cause Everyone is on Social Media. The world has shifted to Social Media, adults, kids, teens, elderly too. So what is your brand waiting for? People have stopped watching T.V. Ads since the time smartphones came in, the viewer’s eyes shift from the Television screen to his mobile screen and start using Social Media Platforms and ignore all the T.V. Ads. How? To answer this question and solve your problem of how do we go about social media marketing, here we are. We provide Digital marketing solution and services that will fit your brand’s image and identity. Every brand is different and unique and for every unique brand, we have a custom made Social Media Marketing campaign and plan.